The Guardian Air REME by RGF® is designed to eliminate sick building syndrome risks by reducing odors, air pollutants, VOCs (chemical odors),smoke, mold bacteria and viruses*. The HVACREME Cells are easily mounted into air conditioning and heating systems air ducts where most sick building problems start. 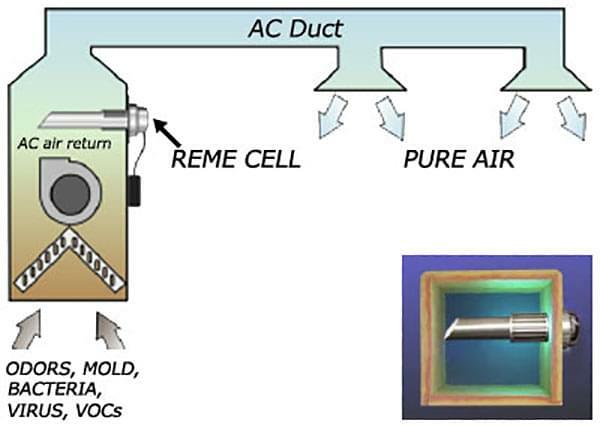 When the HVAC system is in operation the HVAC-REME Cell creates an Advanced Oxidation Plasma consisting of: Ionized Hydro-peroxides, Super oxide ions and Hydroxide ions. All are friendly oxidizers. By friendly oxidizers we mean oxidizers that revert back to oxygen and hydrogen after the oxidation of the pollutant. 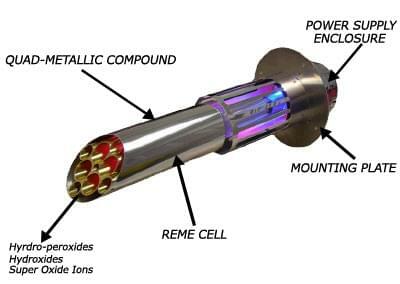 Why Use RGF's REME™ Technology? 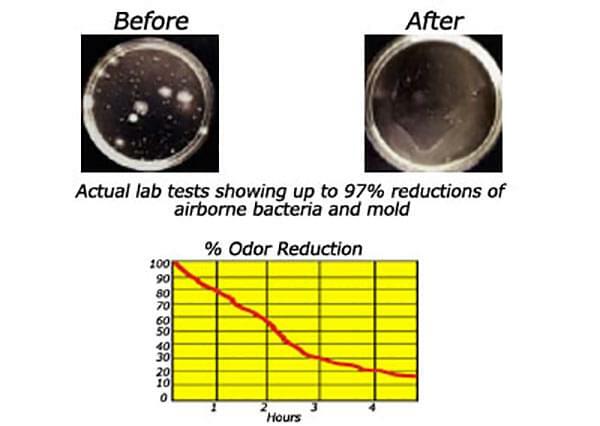 With a REMETM Generator Advanced Oxidation System, micro-organisms can be reduced by over 99%. Gases, VOCs, odors and particulate (dust) can also be reduced significantly. 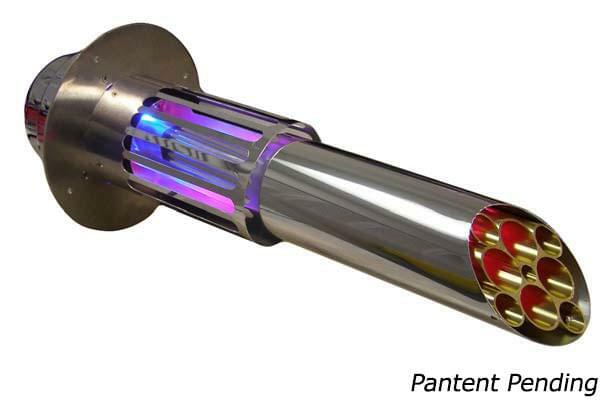 Charged Advanced Oxidation Plasma will be carried throughout for a continuous purification process and a quick kill of newly introduced odors or microbials. The Guardian Air REME unit size is scaled to accommodate the various air flow rates of different HVAC systems. 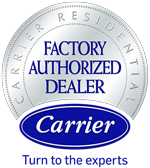 Locate the air blower size in cubic feet per minute (CFM) of the HVAC system you are intending to install the system in, then pick the model number that corresponds to that flow rate. Note: It is recommended these units be installed by a licensed elec-trician.